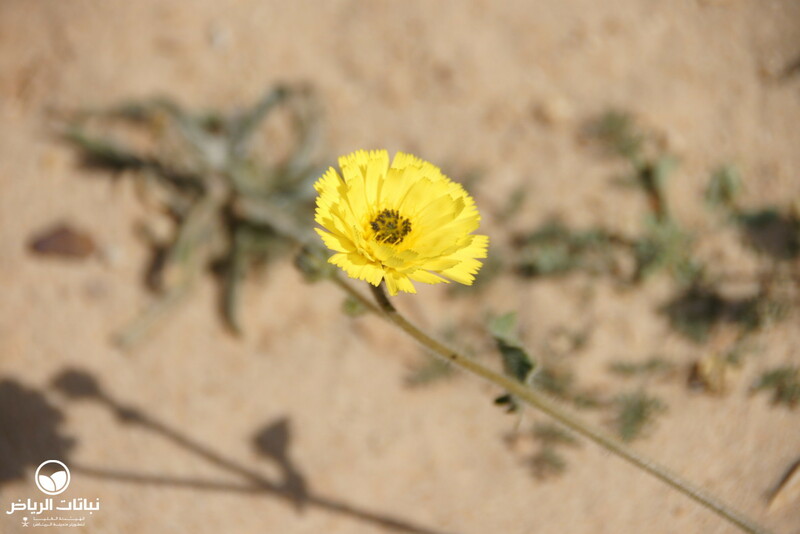 Launaea nudicaulis, or in Arabic safara or hawa, is a perennial herb from the sub-tropical climate zone. It is native to the Arabian peninsula, Northern Africa and Turkey. 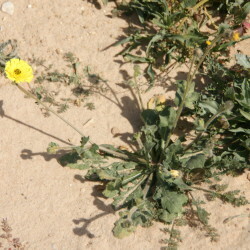 The flower stalks are greyish-green and arise from the rosette of green leaves growing flat to the ground. 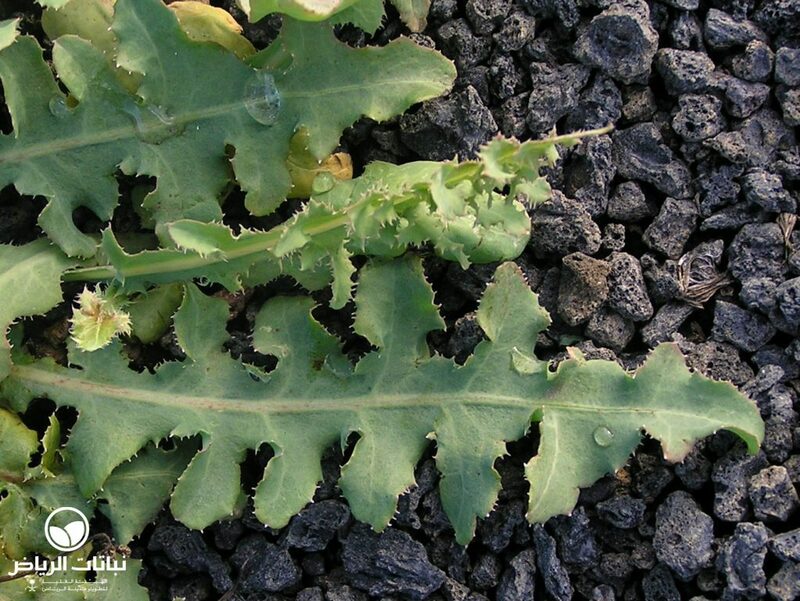 Leaves are lanceolate and the margins are dentate. 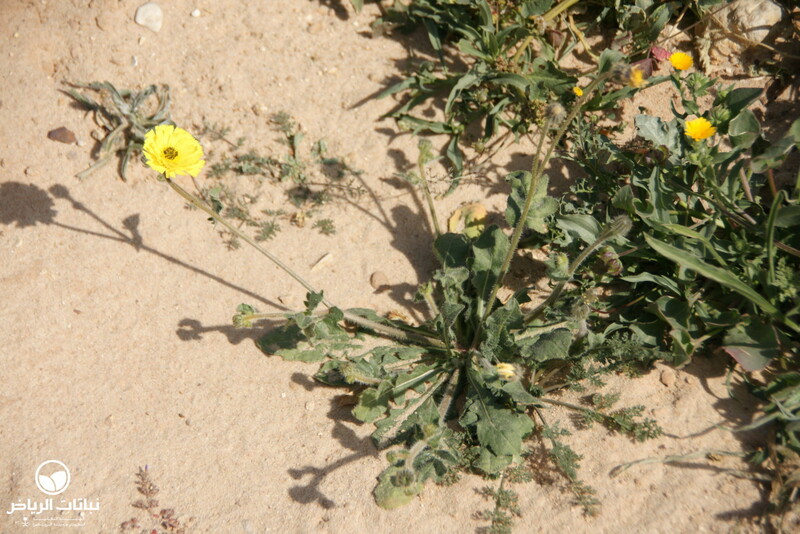 The bright yellow flowers appear in spring and are 2 cm in diameter. The stalk with its flowers at the branch ends reaches a height of 50 cm. 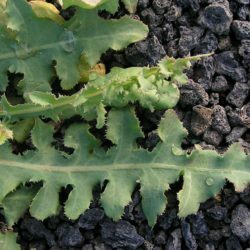 During the summer, this perennial is dormant in the ground and comes back with the first rain. Launaea likes sandy and silty soil. The salt tolerance is medium. 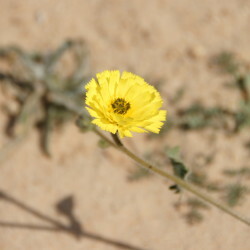 This plant can be found all around Arriyadh, especially in Thumamah, because it is not browsed by livestock there. Propagation can be done by seeds. 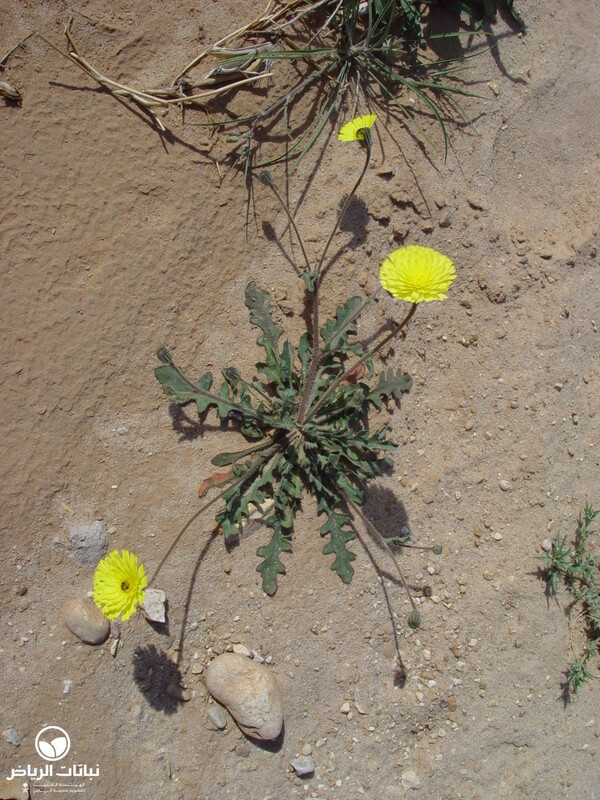 Launaea is well adapted to desert conditions, but in desert-like planting themes in landscape design it has the disadvantage that it will disappear in the summer drought. With irrigation, flowering and growth can be improved and it will not become dormant. 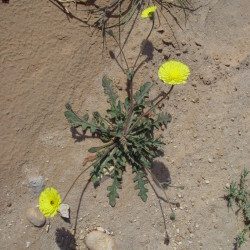 Because of its rich flowering, it can be used in near-natural gardens, such as rock or steppe gardens, as a groundcover. Launaea attracts bees. In former times leaves were applied to reduce fever.